I promised to share a few Karela (Bitter Melon) Recipes with you this summer. Keeping up my promise. This vegan, gluten free, sweet-n-sour, and spicy bitter melon stir-fry with coconut and garlic is to-die-for!! 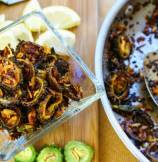 I have been waiting for long to share this recipe with you all. Last month I shared Bitter Melon Stir Fry with Potatoes. 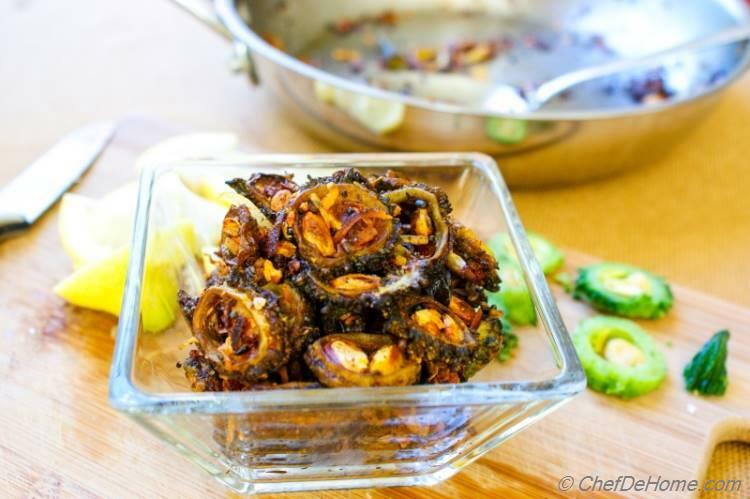 This preparation has crispy bitter melon with crunchy fried coconut flakes and garlic. Very popular in southern parts of India, bitter melon is mostly fried crispy and then sauteed with sweet coconut, garlic and lemon to make it taste delicious. A little bit of sweet and bitter in each bite!! I always serve this fried bitter melon with lemon rice or homemade Indian whole wheat chapati. 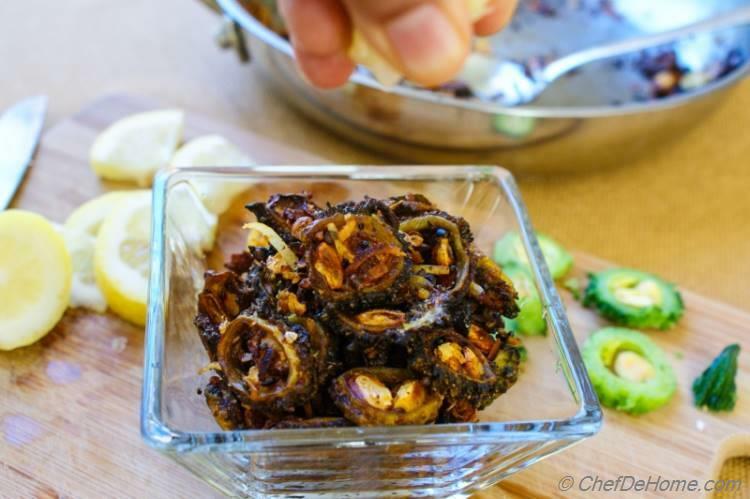 Since I made this recipe for Vishal, he often demands Coconut Fried Bitter Melon (Karela). In-fact, when we visited Indian store last week, he specially asked me to buy sweetened coconut and fresh bitter melons to make this dish again. Even though melon (or Karela) tastes bitter, Vishal is fond of bitter melons. Bitter melon has excellent blood purifying properties, so I happily make some for him whenever he wants. 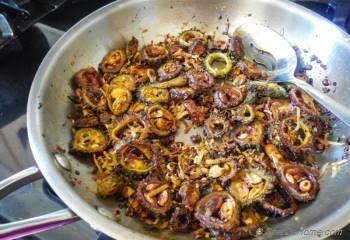 This recipe was a nice change from our regular Karela recipes, so was well received very quickly. 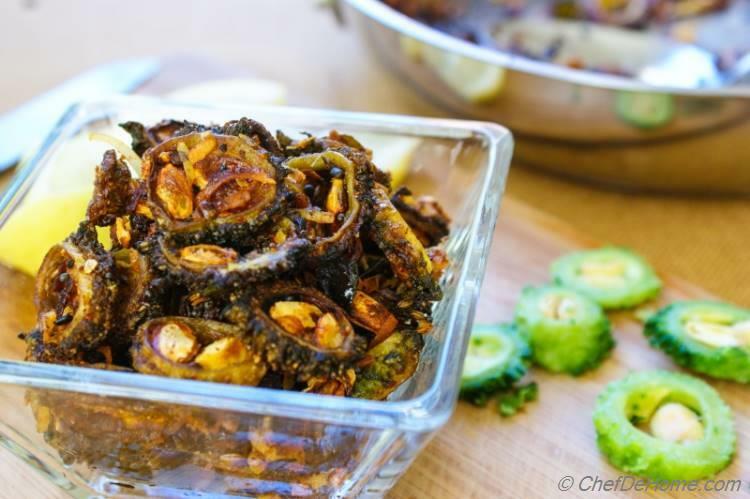 In traditional South Indian recipe, Karela is deep fried. I, However, have shallow fried it in far less oil. 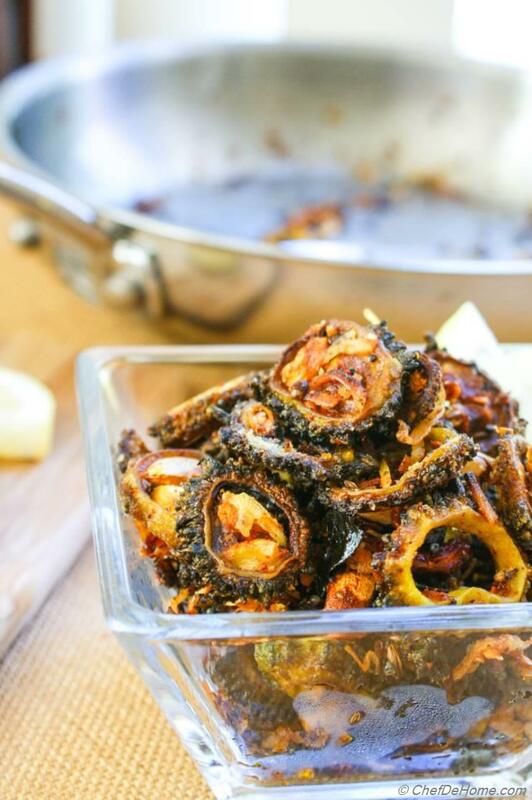 But you can NOT skip frying for this recipe. 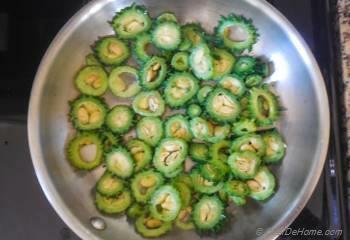 Deep fried or shallow fried, Karela has to be crispy and caramelized to experience the true flavor and taste of this dish. 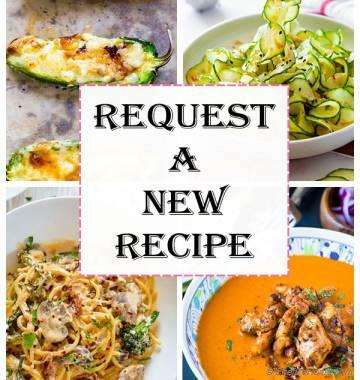 Also in this recipe, I am sharing another way to cure Bitter Melon to get rid of some bitterness. Yes, a little bit of bitterness. Trust me, you will never want to get rid of all bitterness of Karela. Bitterness of bitter melon when balanced with right ingredients can taste delicious and is good for health. Once blanched, bitter melon stir-fry comes together in just 10 minutes. I always make a big batch of bitter melon stir-fry during the weekend. 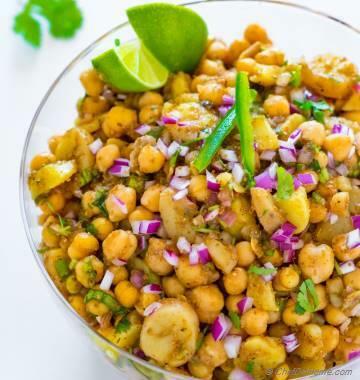 On weekdays, whenever we are enjoying Indian meal for dinner, I serve a few tablespoons of bitter melon fry on the side. Serve some extra lemon slices on the side and splash some lemon juice on Bitter Melon just before eating. Take a bite of chapati, fill t with few pieces of melon (and crunchy garlic and coconut comes with it), dunk it in warm lentil curry and devour!! 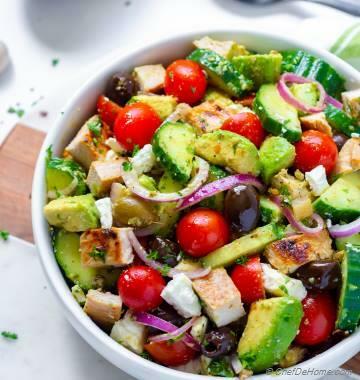 Always yummy!! 1. Blanch Bitter Melon - Add ice to a wide bowl half filled with water and set aside. Bring 6 cups of water to rolling boil in a deep pot. Season with salt (about 1/2 tbsp). Add sliced bitter melon and cook for 2 minutes or just before melon starts to change color. Remove from water and add to ice water to stop cooking. Drain on paper towel to absorb water droplets hanging around. 3. When bitter melons starts getting crispy. 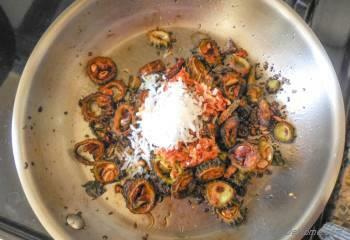 Sprinkle 1/2 tsp turmeric and stir to combine. Continue cooking for 1 more minutes. 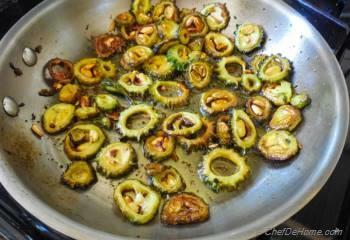 Remove from pan and drain excess oil on a paper towel. 4. 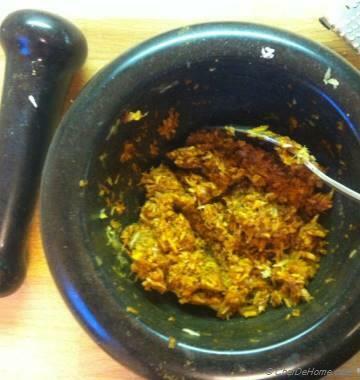 In meantime, in a mortar or food processor, process garlic, paprika and half of grated coconut. Process to a coarse paste. 5. Heat remaining 1 tbsp oil, add split gram seeds (if using), cook for 30 seconds, the add mustard seeds and let'em sputter (30 seconds). Add fried bitter melon, coconut-garlic paste, remaining coconut and salt. 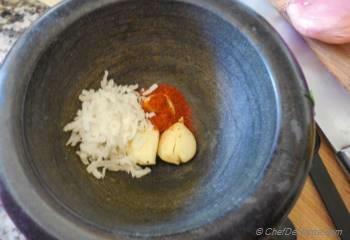 Stir to combine and cook only until raw taste of garlic disappears(1 or 2 minutes max). 6. 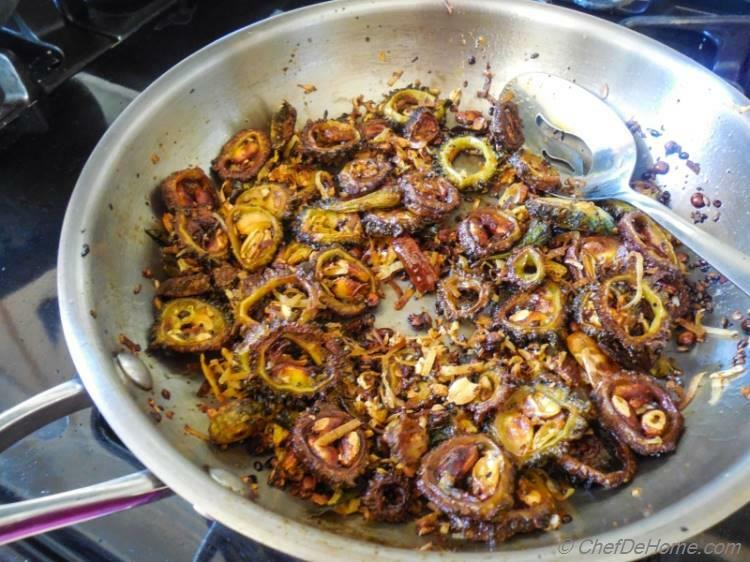 Mix in lemon juice and remove from heat. 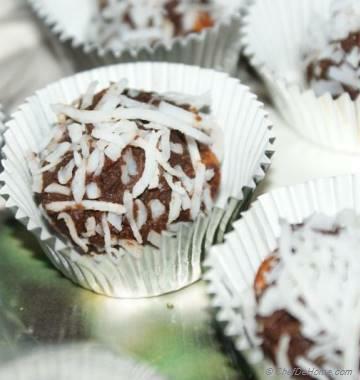 If can't find sweetened coconut, mix 2 tbsp sugar in coconut or add 1 tbsp honey while frying coconut in the bitter melon.